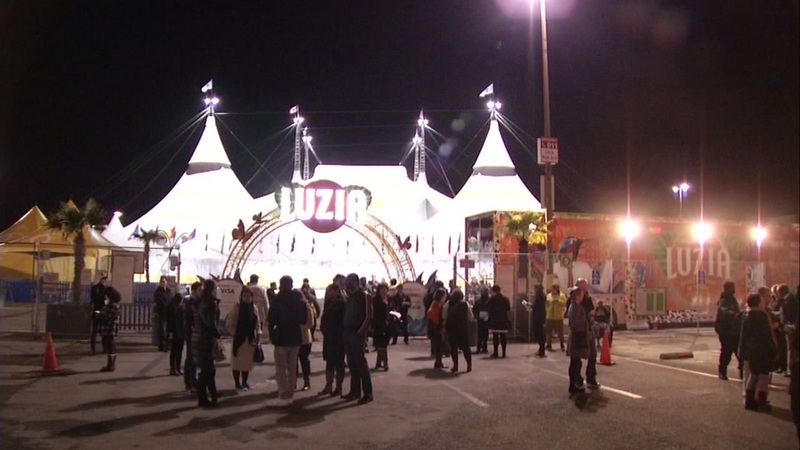 SAN FRANCISCO (KGO) -- The Cirque du Soleil technician who died before last night's LUZIA's performance has been identified as Olivier Rochette of Quebec. His father is Gilles Ste-Croix, one of the founders of Cirque du Soleil. "The entire Cirque du Soleil family is deeply saddened by the accidental death of LUZIA technician, Olivier Rochette, from Quebec, that happened on November 29th, in San Francisco. His immediate family, including his father Gilles Ste-Croix, one of the founders of Cirque du Soleil, has been informed of the accident. Our thoughts are with Gilles, his family and all Cirque du Soleil employees. We kindly ask the media to respect the wishes of the family to mourn in private." Tonight's show of LUZIA has been cancelled and the status of Thursday's show will be determined at a later time.